With increasingly globalized digital infrastructures and a global digital political economy, we face new concentrations of power, leading to new inequalities and insecurities with respect to data ownership, data geographies and different data-related practices. The Global in/securities theme of the 2019 Data Power conference attends to questions around these phenomena, asking: How does data power further or contest global in/securities? How are global in/securities constructed through or against data? How do civil society actors, government, people engage with societal and individual in/securities through and with data? What are appropriate ontologies to think about data and persons? How may we envisage a just data society? And what does decolonizing data in/securities look like? 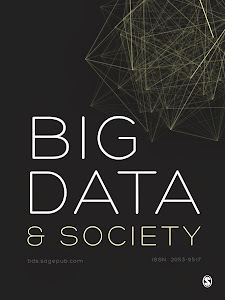 The organising committee will select papers for a special theme proposal to be submitted to Big Data & Society. For more information and the call for papers (deadline: January 31st 2019), please visit the conference website.